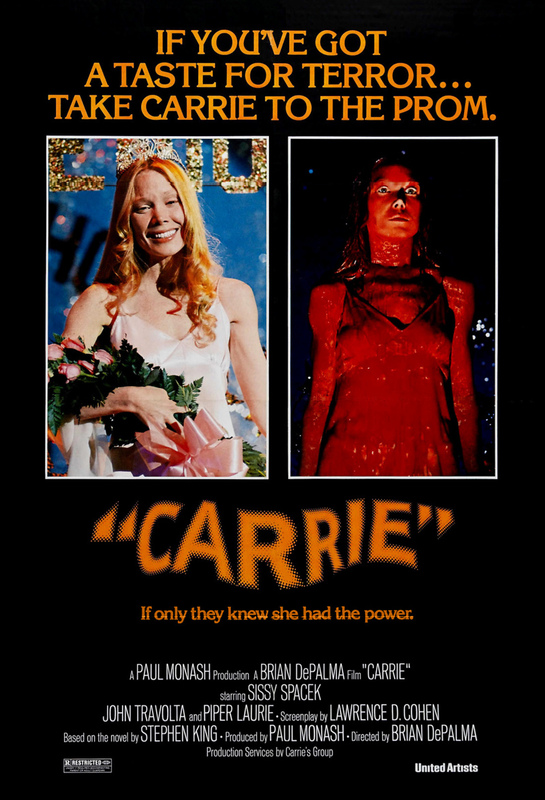 Carrie is a peculiar teenager with an abusive mother and very little experience of the real world. She has so little knowledge that when her period arrives, it takes her completely by surprise. Unfortunately, it happens at school, and she panics, so the girls who already think she is weird become convinced she is a freak and treat her accordingly. However, one of those girls, Sue, repents of her teasing. Sue asks her boyfriend Tommy to take Carrie to the prom so that she can have a night to feel beautiful and normal. Although Carrie is suspicious, she likes Tommy, so she goes, but when some classmates play a cruel prank on her, they get a terrifying demonstration of her newly developed powers of telekinesis.